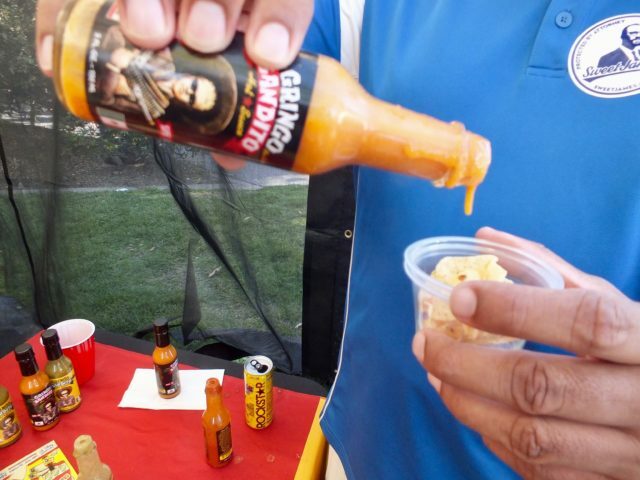 Sampling Gringo Bandito Hot Sauce. Photo by Ed Simon for The Los Angeles Beat. Taco for judging. Photo by Ed Simon for The Los Angeles Beat. A beautiful day in Dana Point for Sabroso. Photo by Ed Simon for The Los Angeles Beat.